The correct identification of the household cleaner is very important. When calling your Poisons Centre it is a good idea to bring the cleaning product to the phone. There is a wide range of cleaning products available, and some may be poisonous, while others are not. The exact name is important so that the most appropriate and accurate information can be given if a poisoning has occurred. 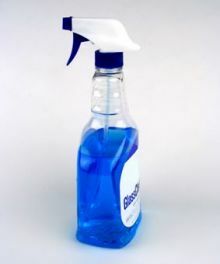 There are some household cleaners that may cause chemical burns if eaten, left on the skin or splashed into the eyes. Some examples include dishwasher powders, caustic soda, oven cleaners and pure bleach. These corrosive cleaners are potentially very dangerous and it is important to immediately call your Poisons Centre, to find out the most up to date first aid following any exposure to a household cleaner. Irritant cleaners are less likely to cause injury, however may still make someone ill. Some common examples would be dishwashing detergents, liquid hand soaps, spray and wipe products and some floor cleaners. They may be irritating to the mouth or throat and could cause someone to vomit soon after an exposure. However irritant cleaners are still dangerous to the eyes; they can cause damage in some cases and still require good first aid. Irritant cleaners split on the skin may cause dermatitis or mild irritation to the skin. Specific First Aid for Household Cleaners - What Should I Do? Immediately rinse the mouth out and seek medical advice from your Poisons Centre or your Doctor. The eye will then need to be examined at your Medical Centre or Hospital.